iStorage is a global leader of PIN authenticated, hardware encrypted data storage devices, that include: USB flash drives, hard disk drives, and solid state drive formats. They produce innovative products to securely store and protect data to military specified encryption levels, safeguarding your valuable business information whilst ensuring compliance to regulations and directives, including GDPR. 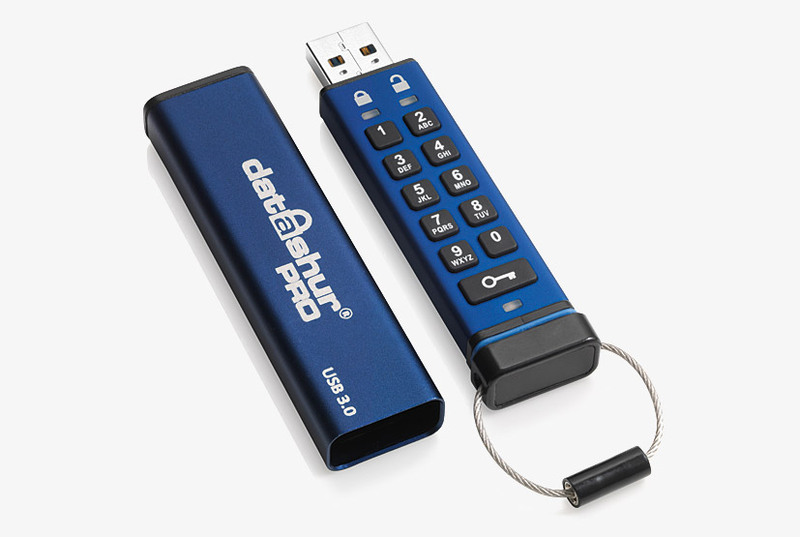 The datAshur PRO USB 3.0 flash drive, available in five capacities, offers advanced security features to 'deliver complete data security and guarantees maximum protection of your data at all times'. The drive includes a crush resistant, rugged, extruded aluminium sleeve, which when in use, adds IP57 dust and water resistance to the drive. A heavy-duty metal keyring is also included. 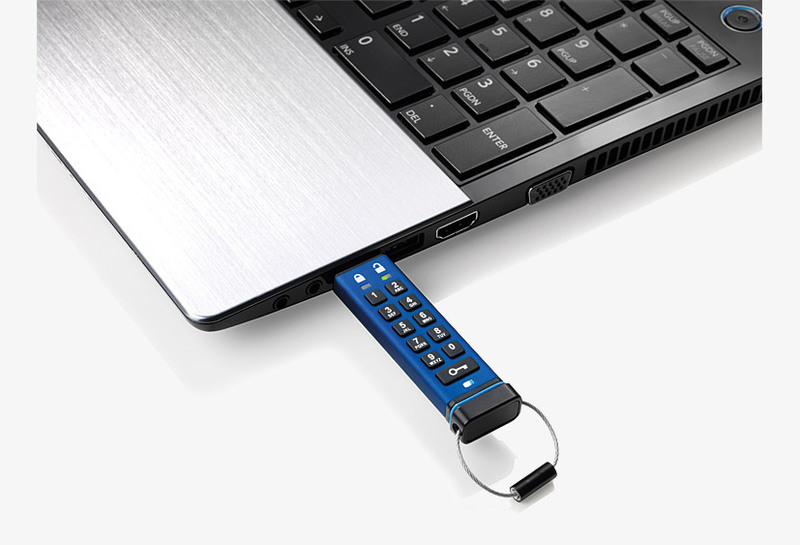 The drive has a built-in rechargeable battery, allowing the user to enter their 7-15 digit PIN, via the on-board, wear-resistant keypad, before connecting the device to a USB port. The wear-resistant keypad avoids tipping off a potential hacker to commonly used keys. Once the drive is unplugged from the host computer, or power to the USB port is turned off, the drive automatically locks to protect the data. The drive can also be programmed to lock after a predetermined amount of time. The drive also has features intended for corporate and government deployment. The drive can be set with separate User and Admin PINs, allowing the Admin to, recover data from a drive and setting a new User PIN in the event an employee has forgotten their PIN; retreive data from a drive if an employee leaves the company; set policies such as 'Read-Only'; and overriding all User settings. All data transferred to the drive is encrypted in real-time with military grade AES-XTS 256-bit hardware encryption. The drive has received Government accreditations, including NLNCSA DEP-V, FIPS PUB 197, FIPS 140-2 Level 3, and NATO Restricted Level certification. The drive also features a brute force hack defence and 'self-destruct' mechanism. Depending on a combination of which PINs are set and used, the following mechanism will trigger. Admin and User User The User PIN will be deleted. All data will remain on the datAshur Pro and can only be accessed by the Admin entering the correct Admin PIN. Admin and User Admin The User and Admin PINs, the encryption key and all data will be permanently deleted. User only User The User PIN, the encryption key and all data will be permanently deleted. Admin only Admin The Admin PIN, the encryption key and all data will be permanently deleted. 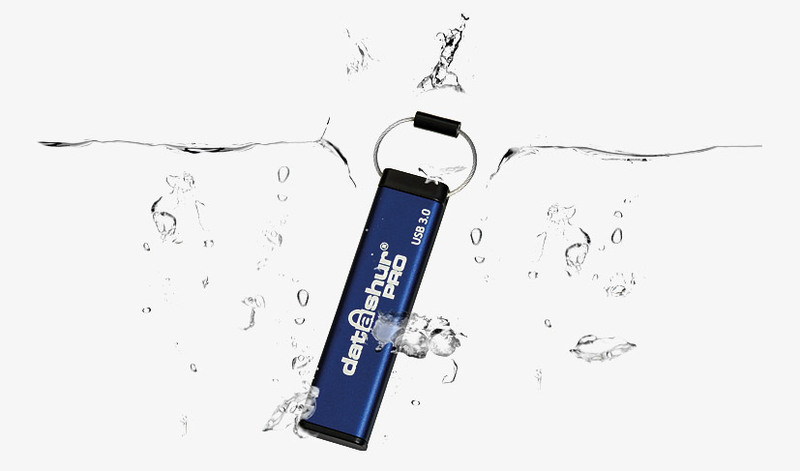 The datAshur PRO does not require any drivers or software to be installed and can be used with any software or operating system, including, Microsoft Windows, macOS, Linux, Android, Chrome, Thin Clients, Zero Clients, Embedded Systems, Citrix and VMware. 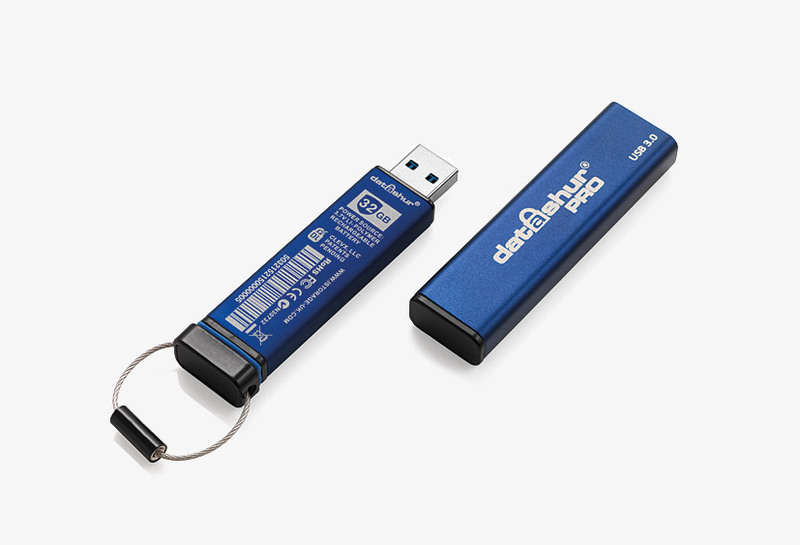 The USB 3.0 interface, backward compatible with USB 2.0, offers write speeds of 43MB/s and read speeds of 139MB/s.